It’s funny how life works sometimes. A week ago to this very day, I punched up an article for this site congratulating Martin Scorsese on being this year’s recipient of the illustrious Cecil De Mille award at the 2009 Golden Globes award ceremony. It was nice to write that story. Marty’s been undervalued for so long by the motion picture elite that it feels good to see him finally being afforded his rightful place in the upper Tinseltown echelon. Yet, now — due to a momentous Bizarro World type of occurrence — I’m here to inform you that, according to an AMPAS press-release, B-movie demigod Roger Corman has received a much-vaunted Honorary Oscar from the Academy of Motion Arts and Sciences. No? Nothing? Does the name “Roger Corman” perhaps not ring a bell? While output quality was obviously not exactly Corman’s bag, you have to give the man points for cranking out his cheap ‘n easy efforts relentlessly fast — often as many as five titles a year! — and allowing numerous promising visionaries to earn their invaluable film-making front-line battle experience in his sub-grade movie production offices and warehouses. In fact, it’s probably due almost solely to those celebrated training-under-fire programs that he’s receiving the award at all, as its hard to argue with the credits of any individual who had a hand in schooling the likes of James Cameron, Peter Bogdanovich, Jonathan Demme, Jack Nicholson, Frances Ford Coppola, Robert De Niro, Joe Dante, Sylvester Stallone and Ron Howard. Let’s remember: the Oscar committee is one of the biggest Popular Kids tables on the globe, and you’d have to imagine prestigious graduates like those would go a long way towards greasing the doors for him. I’m of two minds in regards to this award presentation. Part of me — the part that has seen “Death Race 2000,” “Attack of the Giant Leeches” and 1994’s infamous “Fantastic Four” — has a hard time comprehending why an institution (arguably) dedicated to recognizing the best that the motion picture art-form can offer would deem Corman a worthwhile choice. Aren’t there more appropriate candidates? Individuals who have furthered or redefined the medium for the better and not worse? There are hundreds of praiseworthy A-listers to toss statuettes at, but if the Academy does truly feel it necessary to acknowledge someone prominent and valuable in the B-movie community, how about Dario Argento, George A. Romero or, for the sake of an unforgettable speech, John Waters? These men often worked in similar circumstances as Corman but managed to turn their grungy, home-baked confectionaries into legitimately influential works of down-and-dirty underground art. Conversely, however, there’s indeed something to be said for honoring a true pioneer — the man who saw the innate value in the thrifty horror-movie programmers being produced by Hammer Films and Universal and kick-started an entire industry which continues to this very day with every direct-to-DVD groaner that falls off the tarnished conveyer belt (the unwitting fools who purchased “Transmorphers” have Corman partially to thank!). I can also appreciate that he could spot talent when he saw it and did his best to make sure that we would one day be allowed the pleasure of hearing their artistic voices. Corman received his award during “the Governors Awards” ceremony on Nov. 14 (the event was taped and portions will be shown during the 82nd annual Academy Awards on March 7, 2010). Now that he has been honored, it’s time for Corman to get back to doing what he does best: clogging up the film world’s collective arteries with pure, unfiltered, guiltily amusing cinematic sludge. The Governors Awards presentation can be viewed in its entirety at www.Oscars.org. Follow Cam Smith on Twitter at http://twitter.com/camspcepisodes. 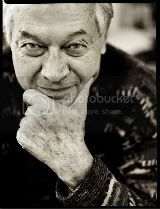 Of course Corman’s not an Oscar winner based purely on the quality of his films, but I would agree that his contributions to the world of film are worthy of being honored.